• Safe and effective extraction cleaner for wool and stain resistant nylon carpets. 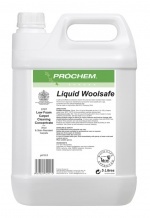 • WoolSafe approved maintenance product for wool carpets and rugs. • Amber liquid with lemon floral fragrance.